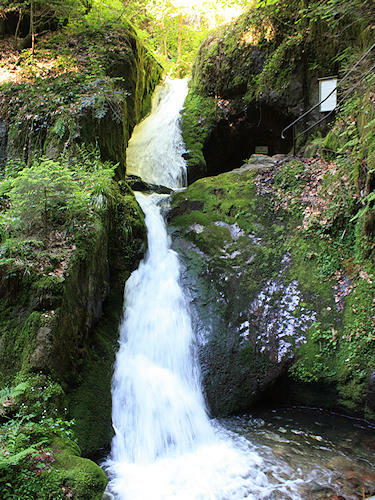 The Edelfrauengrab (grave of the noblewoman) Waterfalls owe their name to a natural erosion cave directly beside a cascade of the waterfalls, where, according to legend, an unfaithful noblewoman met a violent end. The Gottschläg Valley conservation area with the waterfalls and the Karlsruher Grat (Karlsruhe Ridge) further up is indeed an outstanding scenic attraction in the Northern Black Forest. 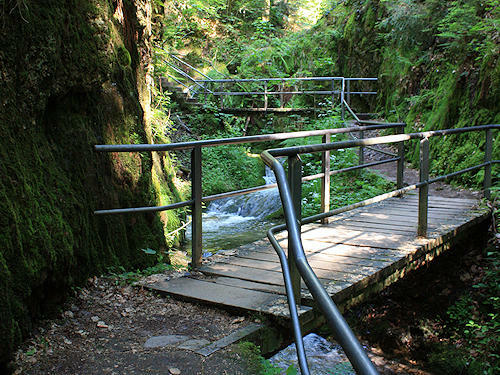 From the parking area for hikers (sign-posted), it is only a few steps to the bottom cascade of the waterfalls, where the Edelfrauengrab is located. 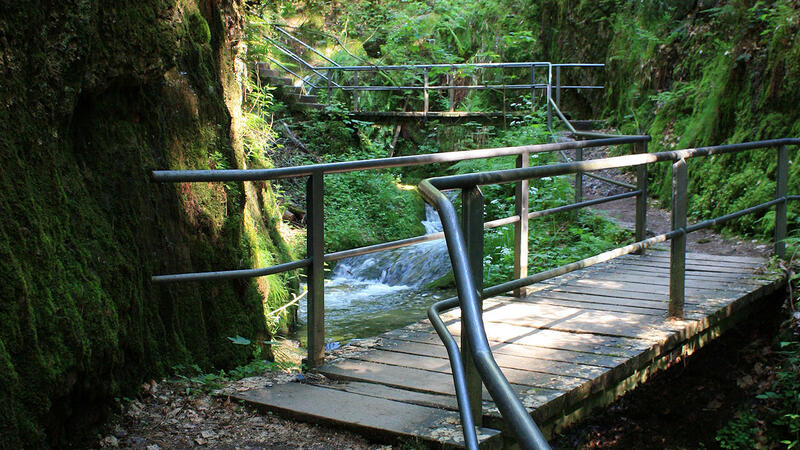 Needless to say, it is well worthwhile climbing further up the adventurous paths and footbridges along the Gottschläg stream. If you want to go on an exciting hike, you climb up to the Karlsruher Grat at the head of the Gottschläg Valley, there you can use the via ferrata. The path leads back to Ottenhöfen from the Bosensteiner Eck at the top end of the via ferrata via the 'Brennte Schrofen'. The overall distance is approx. 12 km, the difference in height 500m, a walking time of 4-5 hours should be allowed for.